Dr. Jay Shankar Singh is an Assistant Professor at Department of Environmental Microbiology, School for Environmental Sciences, Babasaheb Bhimrao Ambedkar (Central) University, India. 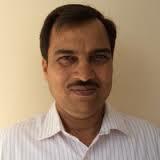 Dr. Jay Shankar Singh has published around 24 articles and 5 book chapters. He is a member of various societies and serving as a reviewer for various journals. Dr. Jay Shankar Singh's areas of research are Microbial Ecology, Environmental Microbiology, Sustainable Agriculture.